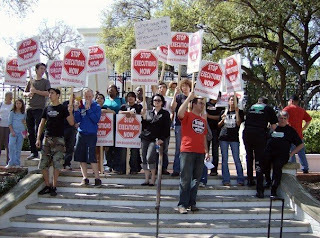 The 2007 Anti-Death Penalty Alternative Spring Break organized by Texas Students Against the Death Penalty and co-sponsored by Campus Progress, Texas Moratorium Network, the Campaign to End the Death Penalty, Texas Coalition to Abolish the Death Penalty, Campus Progress, Equal Justice USA, Amnesty International, the ACLU, the National Coalition to Abolish the Death Penalty, Journey of Hope, Victims of Texas and Murder Victims’ Families for Human Rights. was a big success. Students received valuable training and experience in grassroots organizing, lobbying, preparing a direct action and media relations. During the week, students immediately put what they learned into action during activities such as the “Day of Innocence Rally” at the Texas capitol, when they visited members of the Texas Legislature and lobbied them on the need for a moratorium on executions. They also organized a protest in the heart of the SXSW music festival in downtown Austin during the Direct Action Day. Planning for the alternative spring break began last October. During the weeks leading up to the event, the students who organized the program had to solve various problems, such as finding replacements for a couple of speaker cancellations and finding cheap housing in Austin during the busy SXSW film and music festival. This year we had students coming from as far away as the UK, Mexico and Canada. 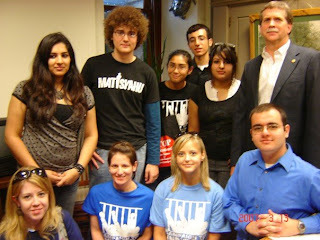 Austin was definitely the place to be during spring break 2007 for young people whose goals include becoming part of the next generation of human rights leaders. As one of the students said, “I could have gone to the beach and changed my state of mind for a week instead I came to Austin this week to change the world forever.” During the spring break, students also had plenty of free time to enjoy Austin – the Live Music Capital of the World. Texas leads the nation by far in number of executions. Texas performed 45 percent of all the executions in the United States in 2006. 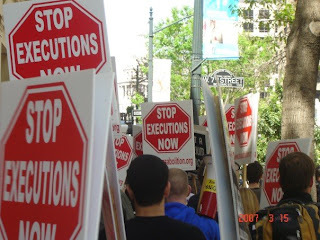 Since the U.S Supreme Court ruling in 1976 that allowed executions to resume after a four-year period during which they were considered unconstitutional, there have been 1066 executions in the United States (as of March 12, 2007). Texas performed 387 of those executions, which amounts to about 35 percent of the national total. According to the 2000 census, Texas has only 7.4 percent of the nation’s entire population. 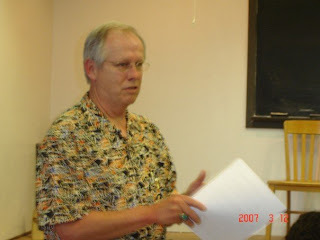 During the week students had the chance to meet and talk with people who have first-hand experience with the death penalty, such as, Kerry Cook, an innocent man who spent 22 years on Texas Death Row and recently wrote a book, “Chasing Justice: My Story of Freeing Myself After 22 Years on Death Row“. 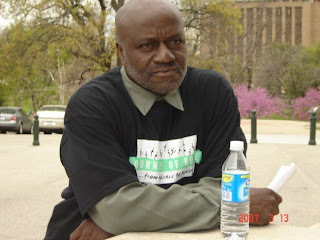 Shujaa Graham, an African American man who spent 3 years on California‘s death-row for a crime he did not commit. Moreese “Pops” Bickham, who was on death row when the Furman v Georgia decision was announced in 1972 abolishing the death penalty. He is now the oldest living survivor of the Furman v Georgia decision. George White, an innocent man who spent years in prison wrongfully convicted of killing his wife only to be finally exonerated. Christina Lawson, whose father was murdered when she was a child and whose husband, David Martinez, was executed in Texas on July 28, 2005 for a murder completely unconnected to the murder of her father as a child. The students also got a lesson in free speech during the week when a Texas state representative took it upon himself to remove two death penalty themed artworks in an exhibition at the state capitol that had been placed as a part of the spring break. He called the artworks “extremely inappropriate and highly objectionable”. Several of the students have said that they intend to remain active in the anti-death penalty movement when they return home, including Zainab Alam of Katy, Texas, a spring breaker who spoke at the “Day of Innocence” rally and plans to start a new TSADP chapter in her school. Pictures from top to bottom: 1. Students protesting the death penalty during the SXSW festival in downtown Austin. 2. Protest at the Governor’s mansion. 3. Talking to Rep. Lon Burnam (D-Fort Worth) during the Lobby Day. 4. Shujaa Graham listening during the “Day of Innocence Rally.” 5. 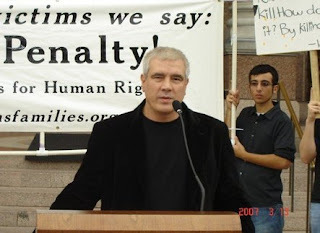 Kerry Cook speaking at the “Day of Innocence” rally. 6. Sam Milsap explaining the case of Ruben Cantu to the spring break students.